N: Inky and sweet. Fresh, strong and serious. A little spirity and roasted with earthy aromas. P: Feminine and soft. Melts in the mouth. Finishes rich but not overdone. Juicy and especially tart. A delicate sensual wine. Worth seeking out. N: Dried fruit. Slightly dusty. P: Medium-heavy mouth feel. Fills out nicely on the palate. 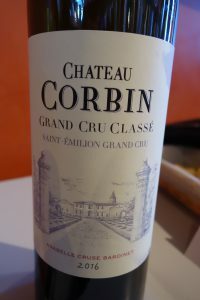 Soft tannin and one has the impression of alcoholic strength, but not in a way that detracts. Rubbery (empyreumatic) notes and slightly dry aftertaste. Oak plays too major a role at the present time. This estate was sold to a Chinese owner by Michel Rolland. N: Noticeable reductive notes, but this may not be a fair time to taste. Biscuity with hints of black fruit jelly. P: Soft and unctuous. Seems traditional with little oak influence. 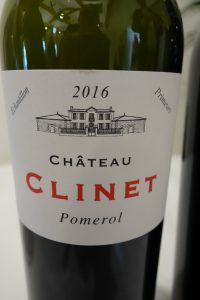 A decent Pomerol, but not one of the best. N: Bright, pure, and rich yet understated fruit. Roasted quality, but interestingly so (not outrageously toasty oak). Deep and good. 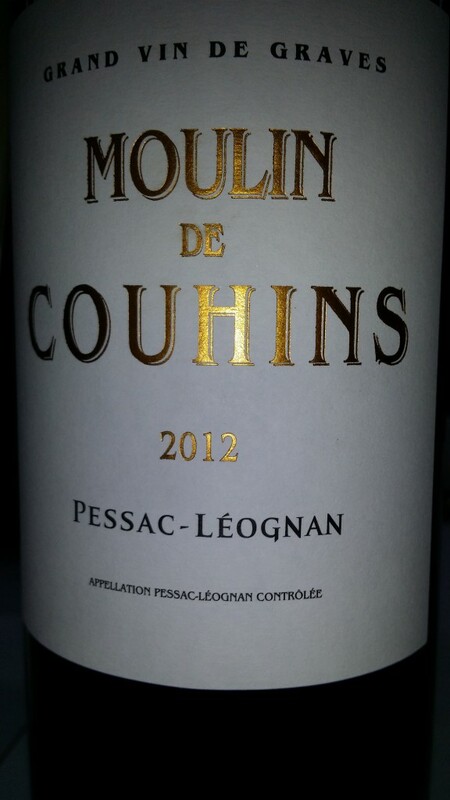 P: Shows more grip and structure than other wines tasted. A step up. Fresh, round, and has a great finish. The dryness should disappear with age. 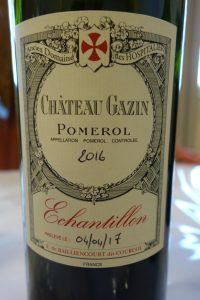 A very fine Pomerol. N: Rich and spicy (cinnamon) with grassy, blueberry, chocolate, and liquorice notes. P: Heavy mouthfeel. Sweet and a little obvious. 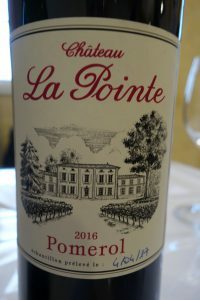 Big, round type of Pomerol, but lacks depth. The aftertaste seems rather dry and I hope that the oak integrates later on. N: Spirity and spicy. Very ripe. A little heat. P: Manages to be big and delicate at the same time. Very soft, but shows plenty of character going into a vivacious aftertaste. The oak finish hides some of the lovely ripe fruit at present, but further ageing should put things in balance. 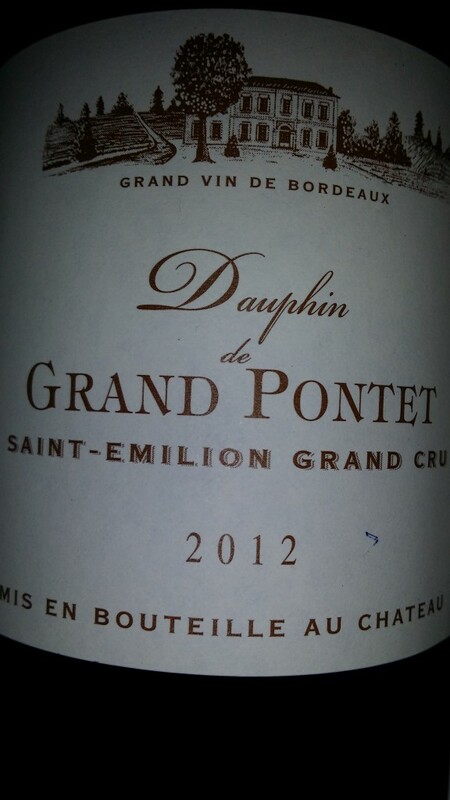 N: Deep and slightly spirity bouquet showing great Pomerol typicity and wild berries. Both serious and charming. P: Medium-heavy mouth feel. Satiny high-quality tannin from beginning to end with a cushioned texture. Juicy and tart. Long aftertaste. Refreshing and thirst-quenching. 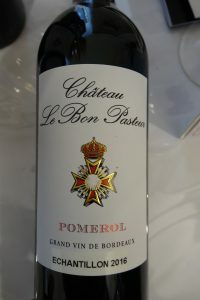 A very superior Pomerol. N: Rich fruit along with meaty aromas and overtones of humus and musk. Fine bouquet of a vin de terroir. P: Quite round on entry but does not quite maintain the momentum before reaching the classy aftertaste. The almond and vanilla aromatics come more from the soil than the oak. There is also a burnt rubber component. Light-weight for its appellation. N: Soft and fairly non-descript compared to its peers. P: Chunky, a little confected. A crowd-pleasing sort of wine with marked acidity. A little hollow on the middle palate. Tangy aftertaste showing some minerality. A good commercial style. N: Toasty oak and accompanying roast coffee aromas predominate. 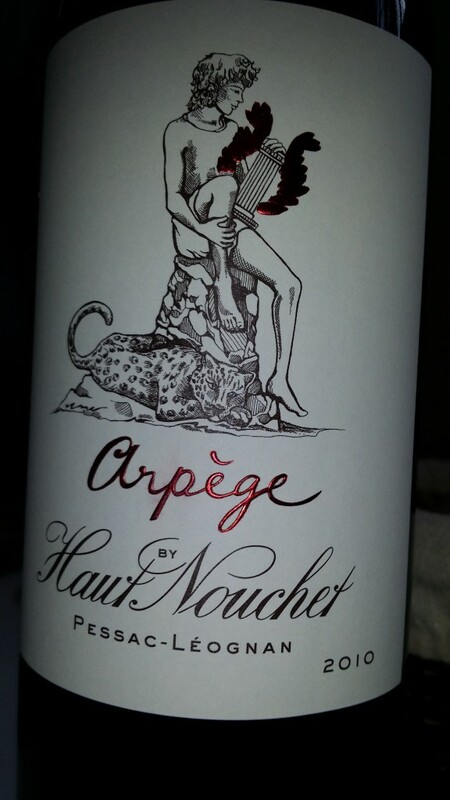 P: Full, rich sensual attack then drops and returns with a pleasant rather mineral aftertaste. 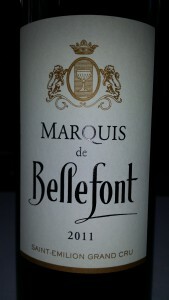 Seductive, easy-going, and typical of its appellation. Will be enjoyable young. This château was recently sold by a Chinese to a Maltese. 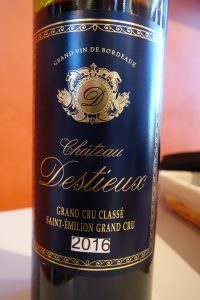 Bordeaux is nothing if not international! N: Very closed. Rich, but simple. P: Melts in the mouth almost like fruit juice (i.e. texture and “sweetness”). Good mineral aftertaste. The sort of wine you don’t have to think about, just enjoy. The dryness on the tail end will probably diminish with ageing when the oak integrates. N: Unusual medicinal nose of herbs and eucalyptus. Perhaps just a stage. P: Much better on the palate. 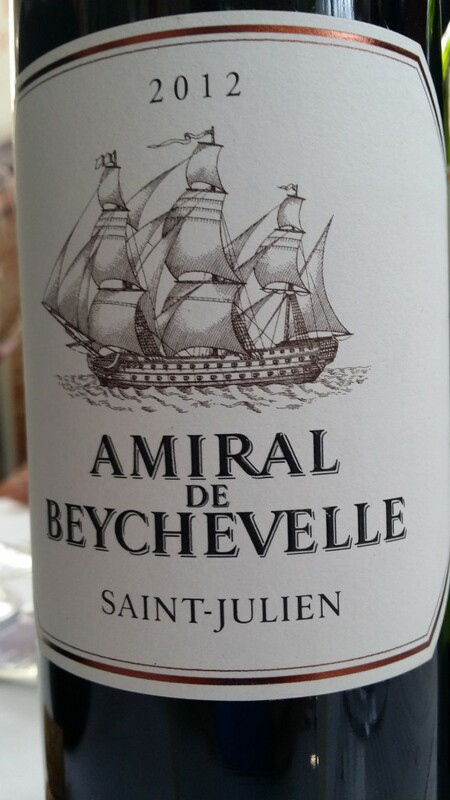 Velvety texture and rich berry fruit that does not let up until the end of the long aftertaste. The oak dries out the finish at this early stage, but if care is taken should not intrude later on. 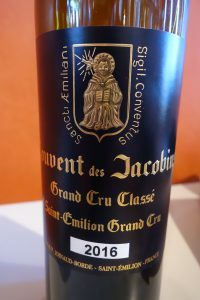 Excellent wine with good potential. N: Soft blueberry aromas with some alcohol and chocolate notes. P: Fine fluid juicy quality. Refreshing. Natural, with good follow-through and appetizing tannin on the finish. N: Pure, although subdued fruit. Oak presently has the upper hand. Some herbaceousness. P: Herbs on the palate too. 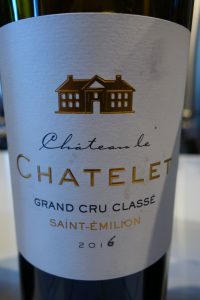 Tight and fairly dry with a weak middle palate. Unbalanced at present. Simply too much oak. However, this could change by the time the wine has been bottled and aged. Needs to be re-evaluated. This estate was bought by the Cazes family of Lynch Bages in 2014. N: Pure, fresh, and classy. Needs only time to express itself fully. P: Sinewy, compact, and penetrating. Heavy mouth feel. This is a big wine that spreads out on the palate. Shows some alcohol. Fine-grained grippy tannin. Slightly hot aftertaste, but this is nevertheless a winner that should age very well. N: Very toasty oak and coffee aromas. Too much. You feel as though you are smelling a cup of espresso. Some herbaceousness comes out with aeration. P: Much better on the palate so let us hope that the oak integrates later on. 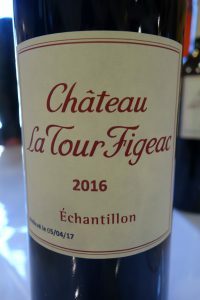 Big, mouthfilling wine with lovely fruit waiting to come out from the yoke of the oak (hey, I’m a poet and don’t even know it!). Dry aftertaste. Please save Private Ryan and reduce the oak here. Everyone will be happier. This estate is owned by the Decoster family who came from the Limoges china industry. N: Low-key fruit with the sensation of freshly-mown grass. P: Starts out big and then drops precipitously. Hollow on the middle palate. There’s a nice fruity tanginess on the aftertaste but this capitulates to the oak at present. N: Pure seemingly unoaked bouquet. Fresh and seems more floral than fruity. 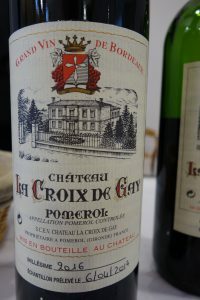 P: Chunky, rich, and mouthfilling, but does not develop quite so well on the palate. Really big and round but also hollow. How will the oak integrate? At present it overwhelms what would have been a great aftertaste. N: Subtle, fresh, and concentrated berry liqueur notes with some grassy aromas. P: Tasty and sweet but somewhat one-dimensional. 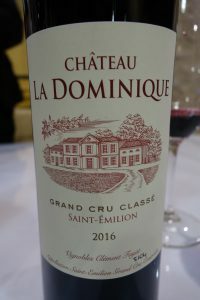 The fine aftertaste brands it as a Saint Emilion. Quite juicy going into a tart mineral finish. Good but not stellar. N: Very primary fruit with a herbaceous quality. P: Juicy and tasty. A little dry on the aftertaste, but there is lovely upfront joyous fruit. Let us hope that everything evens out in the end. N: Slightly reduced nose. Pronounced, but not complex, with plum nuances. Alcoholic smell of slightly overripe Merlot. P: Rich, silky, and brawny going into an unexpectedly fresh and especially mineral aftertaste. 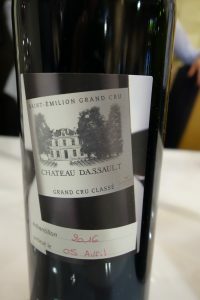 A wine of strong character and a good Dassault. N: Soft, biscuity, and enticing, but not really expressive and focused yet. P: Rich, melts in the mouth, big, round, fresh, and sensual. The oak is largely under control and there is a fine textured aftertaste. Lots of pleasure here. Only the muted nose keeps this from being a winner. Let us hope that this comes out over time. N: Lots of toasty oak. A little hollow and alcoholic at this time. P: Sinewy and velvety. Soft with a medium-heavy mouth feel and a flavour that dips before coming back into a long tannic and mineral aftertaste. 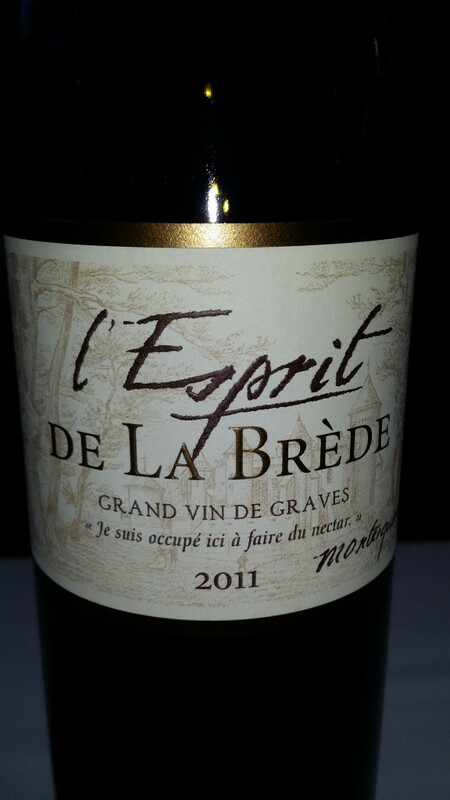 A serious, sturdy, broad-shouldered wine that is, once again, a little dry on the finish at this time. N: Cherry-vanilla aromas accompanied by a strong blackberry component. Beautiful ripe bouquet. Still, needs to come together, which is hardly surprising. P: Big mouthful of wine. Spreads out confidently on the palate. Round and sensual with a silky texture. Excellent. N: Subtle black cherry aromas. P: Medium body and silky texture. Well-balanced with oak in check and showing nice minerality. High quality tannin. Classic and satisfying. 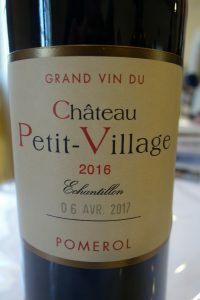 I was delighted to discover this fine cru classé I did not know. N: Soft and not very expressive. Underlying black fruit waiting to be liberated. Some understated oak. P: Sweet juicy fruit with a refreshing, thirst-quenching quality. Medium-heavy mouth feel. Oak dominates the aftertaste, but this could very well change over time. Very good. 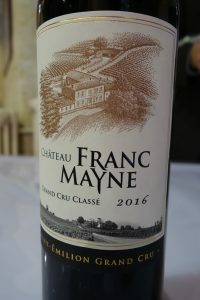 The château has been certified organic since the 2013 vintage. N: Honest, forthright, subtle nose of black fruit. P: Fills out nicely on the palate. Chunky with exuberant fruit. Good mineral aftertaste and not too dry. Surprisingly good and seems like an excellent value this year. N: Some reduction there. Not in very good form this day. Deep, slightly spirit blueberry and fresh leather. P: A certain tartness and an average quality compared to other crus classés. Strong limestone-induced minerality on the aftertaste. 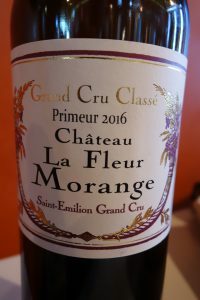 N: Beautiful fresh and largely floral nose (field of spring flowers) with fruit not far behind as well as some chocolate nuances. P: This strange and unexpected floral quality carries over to the palate. Thickish body and a long earthy aftertaste with mineral and oaky overtones. Perhaps more interesting and unusual than good. N: Soft, natural, and seems virtually unoaked. Deep and mysterious with lovely Merlot fruit. P: Big and round, but with a slightly dilute quality. 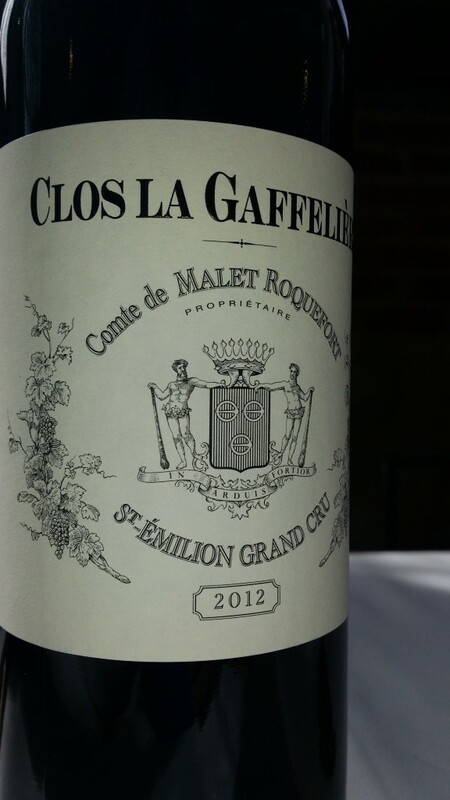 Displays the trademark finish of wines from the Saint Emilion plateau: an unmistakable limestone minerality. Toned-down compared to some other vintages from this estate. Very good. P: Big, full and sweet. Does not really follow through from the attack to the dry finish. Going on towards being a fruit bomb. Ends really very dry due to oak. A pity because there are some unquestionably good aspects to the wine. N: Not much going on. Wait and see. P: Big volume but hollow. Unattractive dry aftertaste. Clobbered by the oak. N: Discreet, fresh, and attractive black fruit with some toasty oak. P: Sweet, round, and sensual Merlot melts in the mouth. Very good and will be quite enjoyable young. N: Blueberry aromas, but not very subtle. 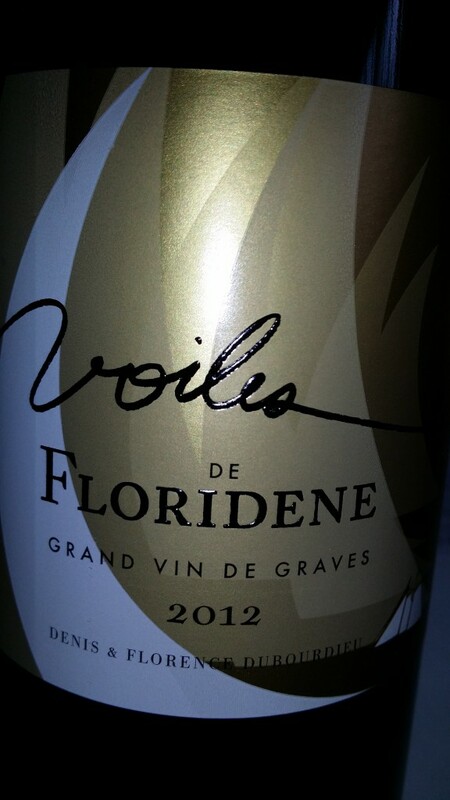 P: Seems almost more floral than fruity on the palate, and goes from a chunky rich attack into a rather dry aftertaste. Not the most distinguished of the tasting. N: Inky, dark, mysterious, and promising bouquet. I must have been carried away… My notes say “a beautiful Andalusian woman”! P: Complex, and round, with a lovely texture. Impeccable. Wonderful soft tannin. Seductive, yet serious and the oak is within reason. Is Silvio Denz gunning for first growth status? If this bottle is anything to go by, he is well on his way. Between the special Lalique embossed bottle and the price tag, I was expecting to find something overdone. But no, this is really good. N: Bit herbaceous and rustic. Some chocolate, cherry, and oak notes. P: Big, but a bit flabby. Refreshing, but lacklustre. 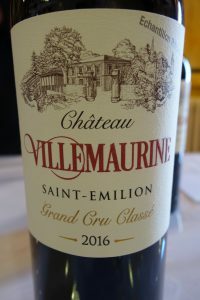 Minerality typical of Saint-Emilion’s limestone plateau on the aftertaste, but this is somewhat of an afterthought… Proper, just not special. N: Fresh, sweet, and pure aromas of brambly fruit with some chocolate nuances. P: Big with a heavy mouth feel, but the impressive entry seems a little diluted thereafter, going on somewhat disjointedly into a puckery mineral finish. 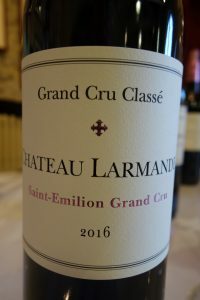 A different style from the sister château, Larmande, and needs more time to age. N: Not a lot of personality. Sweet and simple. P: Much better on the palate. Melts in the mouth and then asserts itself with considerable volume, marked berry flavors, and noticeably high alcohol. Good tannin, minerality, and long fruity finish. A sleeper. N: Strong berry liqueur aromas. Alcohol. Not complex. P: At 15° this reminds me a bit of Harlan from California in that I don’t want to like it, but end up being taken in. Close-minded, moi? A New World type of wine in many respects. Concentrated, big, and unrelenting, yet deeply soft. I liked it despite a hot, dry aspect to the finish. Go figure. P: Starts out big, round, and generous, then backs off and dips, going on to display a combination of rich fruit and minerality. Long berry aftertaste with an oak influence that needs some watching. Very good. 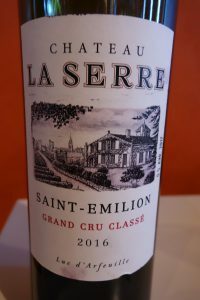 Posted in Tasting notes and tagged Bordeaux, bordeauxwine, BordeauxWines, Pomerol, Saint Emilion, saintemilion, wine on April 28, 2017 by AlexR. 23/09/16 – Today’s newspaper (Le Sud-Ouest) reports that Hubert de Boüard de Laforest, co-owner of Château Angélus and other estates on Bordeaux’s Right Bank, has just lost his libel case against Isabelle Saporta, author of “Vino Business” in the Paris criminal court. 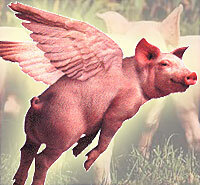 He had claimed 50,000 euros in damages and 10,000 euros for legal expenses. De Boüard sued Spaorta for, among other niceties, describing him as a “le petit Machiavel du vin,” “le renard” (the fox), and “un parvenu” (an upstart). While the judges admitted that the book gave “an extremely negative image” of de Boüard, their considered opinion was that “nothing in the book could be considered libellous “. I have read Saporta’s book, which makes no pretence of objectivity. It sets out to be an exposé and contains a fair amount of bile. 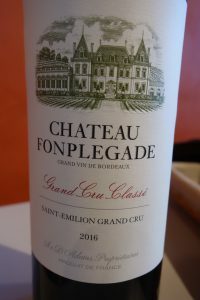 Still, the author’s descriptions of the way the Saint Emilion classification was conducted (in which Angléus was bumped up to the supreme category, and for which de Boüard may have had unfair influence…) and the role of Jean-Pierre Moueix in Pomerol are eye-opening. 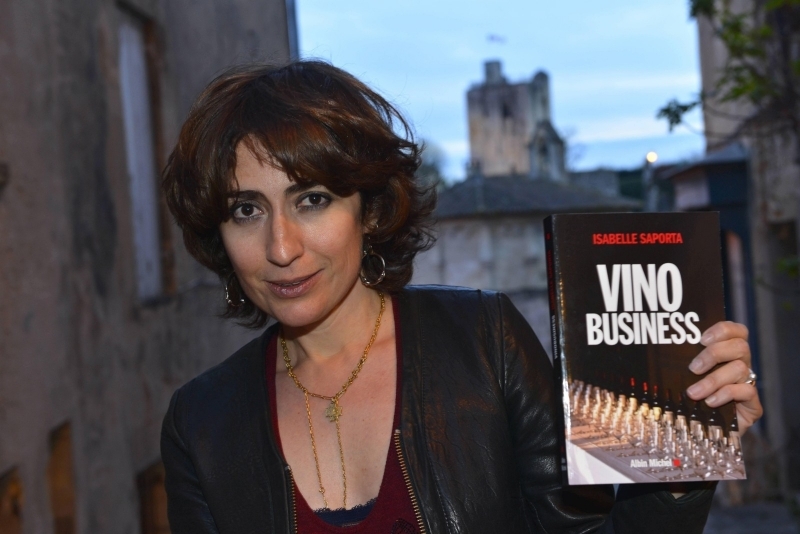 Vino Business reminds me of another largely negative book about Bordeaux, William Echikson’s “Noble Rot: a Bordeaux Wine Revolution”, in which the author writes a number of nasty things about Alexandre de Lur Saluces, among other well-known figures. Posted in Uncategorized and tagged Bordeaux, saintemilion, vavino, wine on September 23, 2016 by AlexR. I had never before attended a tasting of second wines as such, i.e. 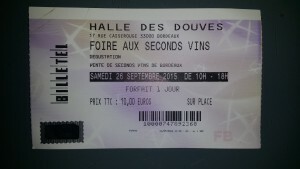 nothing but second wines, so I was very interested to do so on Saturday the 26th of September in Bordeaux. 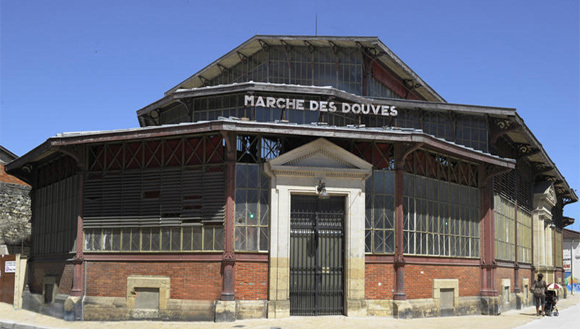 This event was organized by Terre des Vins magazine, part of the Sud-Ouest media group and Cash Vin (http://www.cash-vin.com/), a wine merchant, in the newly renovated Marché des Douves next to the Capucins market. 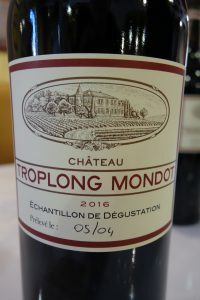 Second wines are widely perceived to be a mixed bag and the sort of wine lover who thinks Bordeaux is limited to the great growths is likely to snub anything “less than the best”. In fact, the history of second wines goes back a very long way. 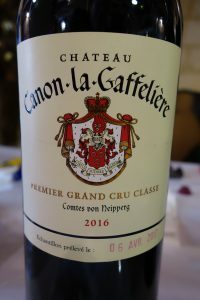 There are records of such wines in the 18th century, and their increased number in recent years has gone hand in hand with improved quality starting in the 1970s. In fact, most classified growths have a second wine nowadays. The principle is quite simple: the grand vin, the estate’s flagship wine, can be improved by selecting only the best vats. The remaining wine is less good, but also less expensive and usually ready to drink earlier. 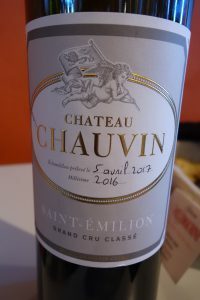 For consumers, second wines are worthwhile to the extent that their quality does not lag too far behind that of the grand vin and that they cost significantly less. They are also ideally suited to restaurant wine lists. The selection process includes a variety of parameters. 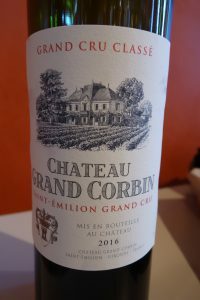 In difficult years, the proportion of second wine is generally much higher and, in extreme cases, can totally replace the grand vin. Also, vats from specific plots not quite up to the standard of the main label are put into the second wine, as are wines from young vines. 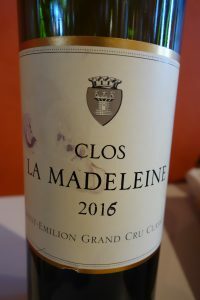 Then there is the issue of second wines that refuse to admit they are second wines… Examples that spring to mind are Forts de Latour and Clos du Marquis, but there are many others. Their owners claim that these come from a specific part of the vineyard and do not incorporate less good vats from the best part. They therefore must be seen as “estates within an estate”. I don’t find this explanation very convincing and despite the hype still consider them second wines. What else do you want to call them? 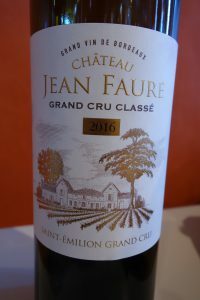 Furthermore, Latour and Léoville Las Cases even produce third wines, respectively le Pauillac de Château Latour and Le Petit Lion. 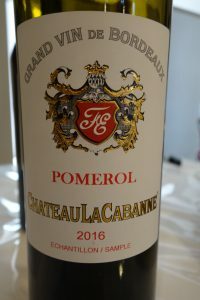 Château Palmer’s Alter Ego, is not presented as a second wine either, but this just boils down to semantic differences. Created in 1930, Mouton Cadet was originally the second wine of Château Mouton Rothschild. 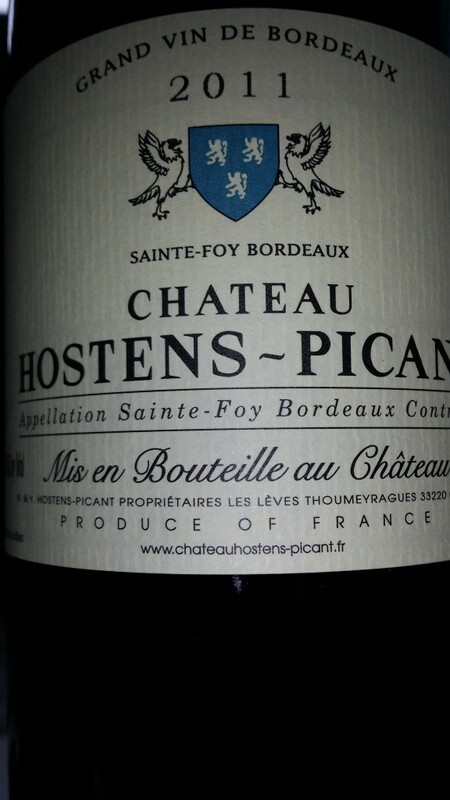 Over the years, it has become a branded AOC Bordeaux négociant wine. 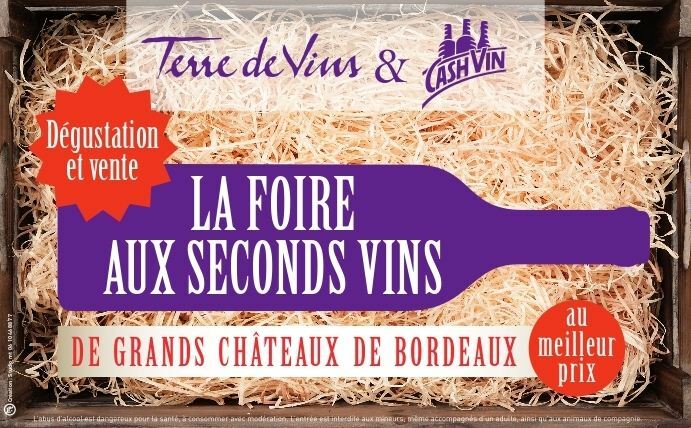 French for second wine is second vin rather than deuxième vin. The reason for this is that when there is a series of just two things, the word second is used. As soon as there are three or more things, deuxième replaces second. Here are my impressions of the 21 wines – all red – I tasted. Please note that the scores are out of 20 and that I am a tough grader. The retail prices are in euros per bottle including sales tax (VAT). The purchase of 6 or more bottles entailed a discount of approximately 10-15%. Conclusion / bottom line: Like any tasting, this is a mixed bag, so generalizations are difficult. However, the best wines were well worth the money, and some were true bargains, for people who drink wine rather than money. 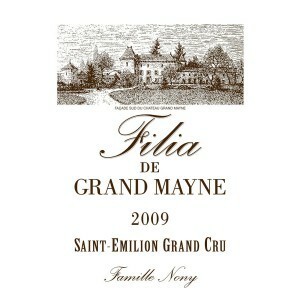 Also, if you like the “grand vin”, there’s a very good liklihood you’ll like the second wine! 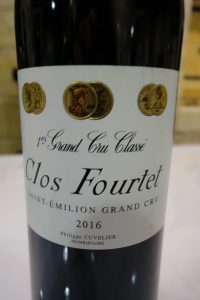 Belonging to Denis (the famous professor, consultant, and Dean of the Bordeaux Faculty of Enology) and Florence Dubourdieu, Clos Floridène is located in Pujols, quite close to Sauternes, and is better-known for its white wine, produced in more significant quantity. 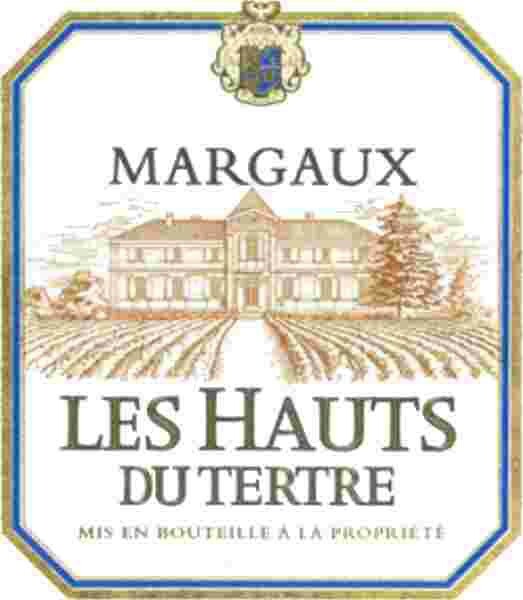 This is the second wine of Château du Tertre, a fifth growth in Margaux that is much appreciated by Bordeaux lovers who are seeking quality without paying a fortune. 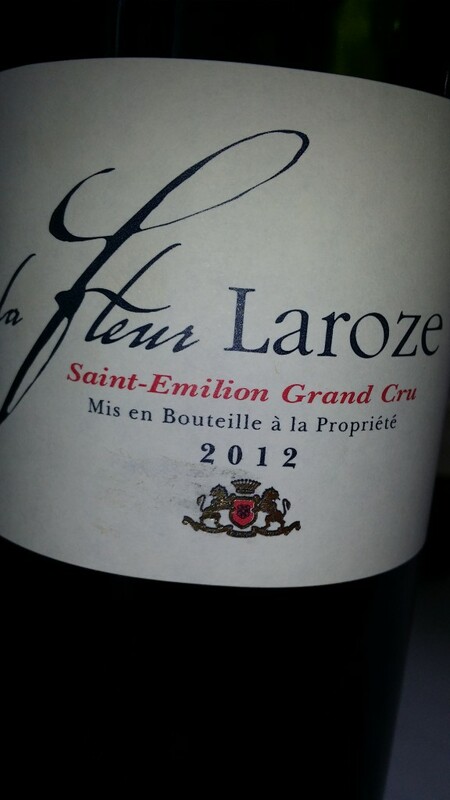 T: fluid, light, easy-going tannin, a great luncheon claret! The finish is a little gummy. Needs time, but not much. 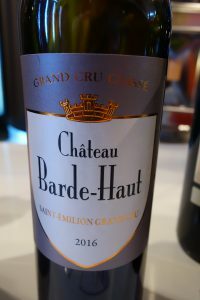 The vineyard (4 hectares of red and 2 of white wine varieties) had gone out of existence, but was revived on a tenancy basis by Dominique Haverlan, owner of Vieux Château Gaubert, also in the Graves. This is his first vintage, and a very successful one at that. T: round, easy-to-drink, modern, with a puckery, lip-smacking finish. Wine of substance and an unexpected pleasure. Château Couhins is owned and managed by INRA (Institut National de la Recherche Agricole). It has long been under the radar and is a good value for that reason. 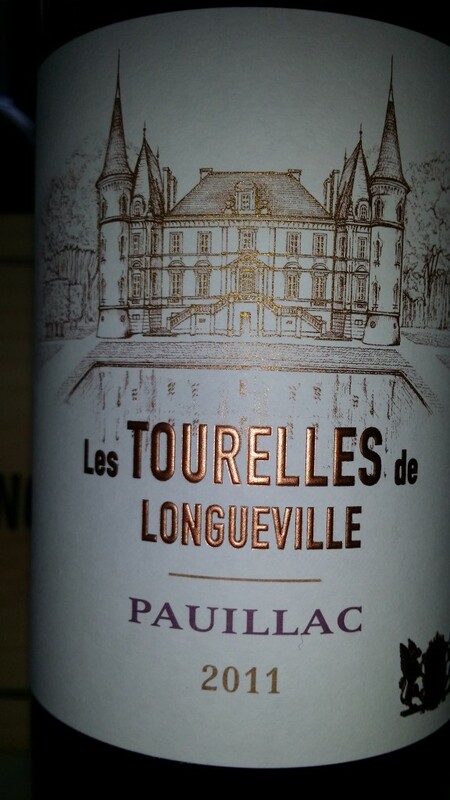 T: sweet, simple, cherry fruit, and light tannin. qaMore grip than most. Should be ideal in 3 years. Some greenness. 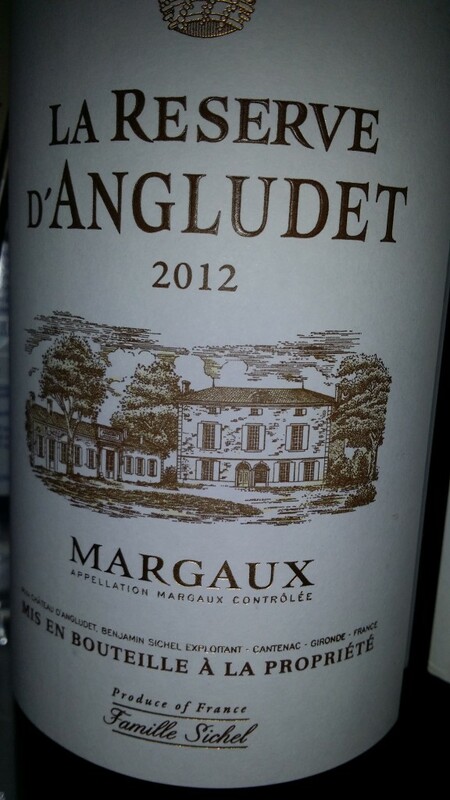 Angludet has long had a strong following, and is especially well-known on English-speaking markets due, in no small part, to the owners, the English Sichel family. T: suave, light, and pure. Nice juicy aftertaste with good tannin but in a minor key. Attractive, to drink young. Third growth Boyd Cantenac has long had a low profile, but it is a stalwart classic as far as I’m concerned. 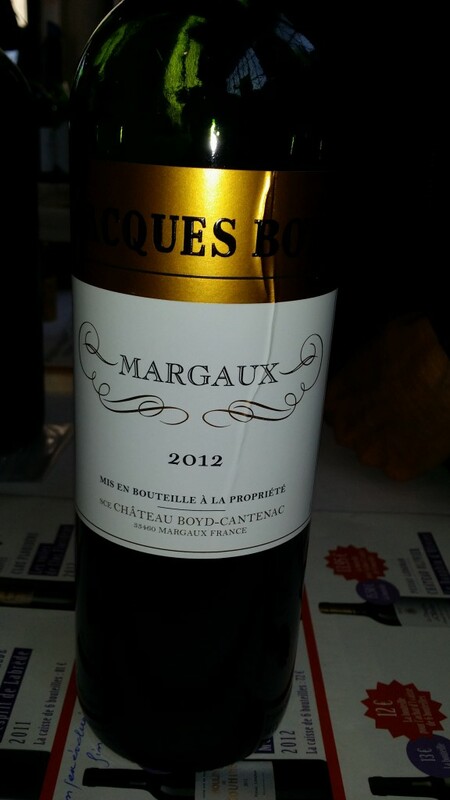 Lucien Guillemet was also showing the 2002 Jacques Boyd, but this was very tertiary and past its best. This classified growth and exclusivity of CVBG (Dourthe-Kressmann) deserves more of a reputation than it has. 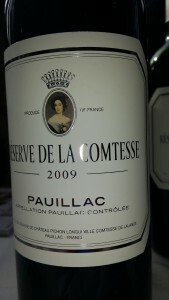 My notes show a wine that is good rather than very good, but at 13 euros a bottle, this was tremendous value for money. N: sweet, pure candied fruit with some class. Rather feminine. T: sweet once again. Charming and seductive, even if quite simple. A real crowd pleaser. 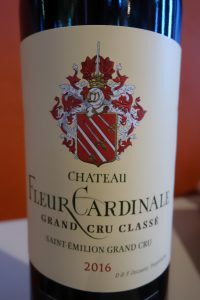 The tannin on the finish, however, is perhaps too rough compared to the wine’s intrinsic body. 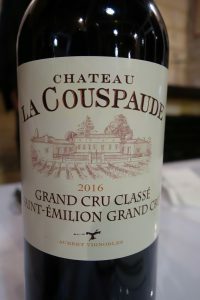 After going through a variety of phases, Giscours has seemed back on track in recent vintages. 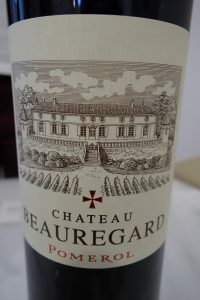 This 9 year old second wine, however, was not the best reflection of what the château can do. 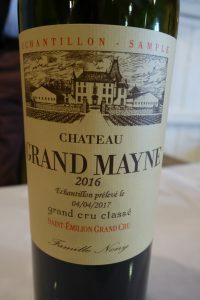 I am not familiar with this estate in Martillac. N: simple and closed with berry fruit. Lacks depth. T: better than the bouquet. Sweet, but hollow and rather one-dimensional. Tart, bitter finish. 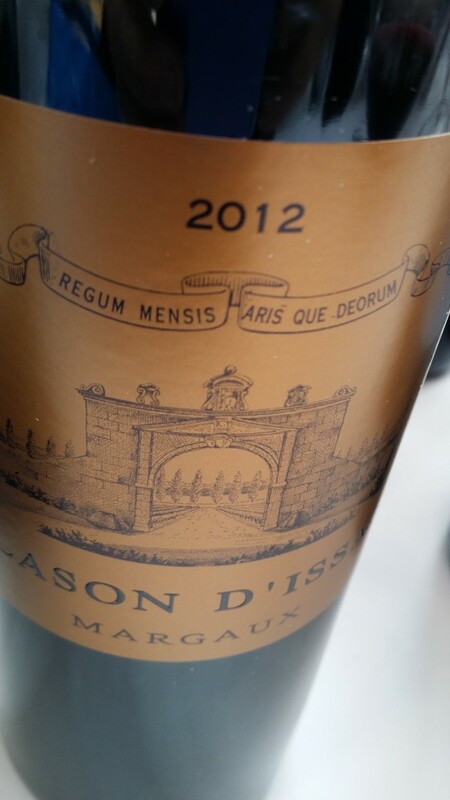 Issan is unquestionably one of the best third growths (there are ten of them…) in the Margaux appellation. It is now 50% owned by Jacky Lorenzetti, who also owns Pédesclaux and Liliane-Ladouys. T: good body and melts in the mouth. Bigger than expected. Magical. Good balance. Nice to drink as of now. 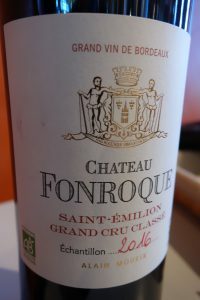 This estate is located in the tiny and not well-known Sainte-Foy-Bordeaux appellation. I had only previously heard of their white wine. T: sweet, but not in a good sense. Barely drinkable. Dry, nasty finish. Fourth growth Beychevelle is clearly on the up-and-up. This was one of the best wines of the tasting. 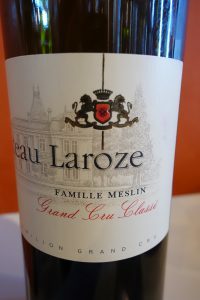 This has long been considered one of the best second wines in the Médoc. 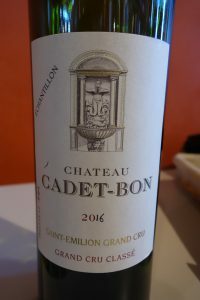 Only now, Pichon Baron will be producing another second wine – like Clos du Marquis and les Forts de Latour – that claims it isn’t really a second wine… This is called Les Griffons de Pichon Baron, and was first made in the 2012 vintage. N: deep and enticing, but closed. Some chocolate overtones. T: silky, satiny texture. 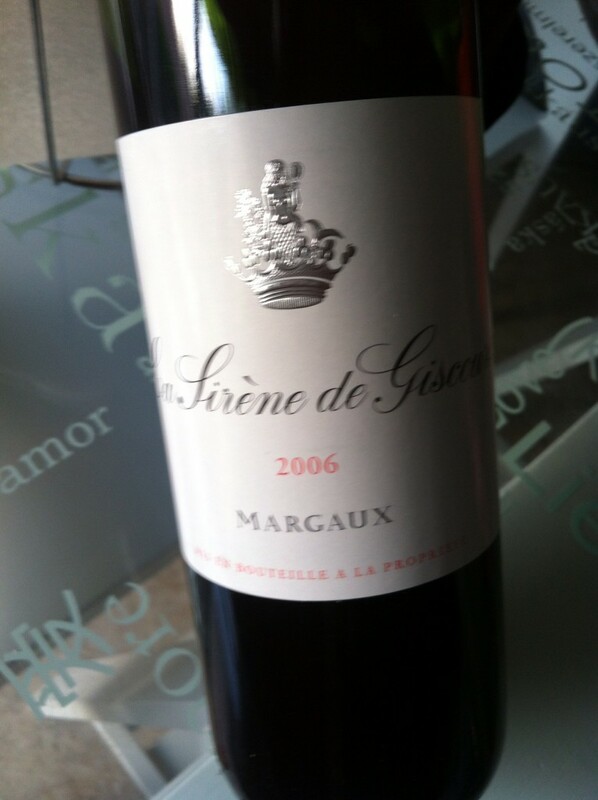 Sweetness on palate with high-quality tannin that melts in the mouth with just a hint of greenness. 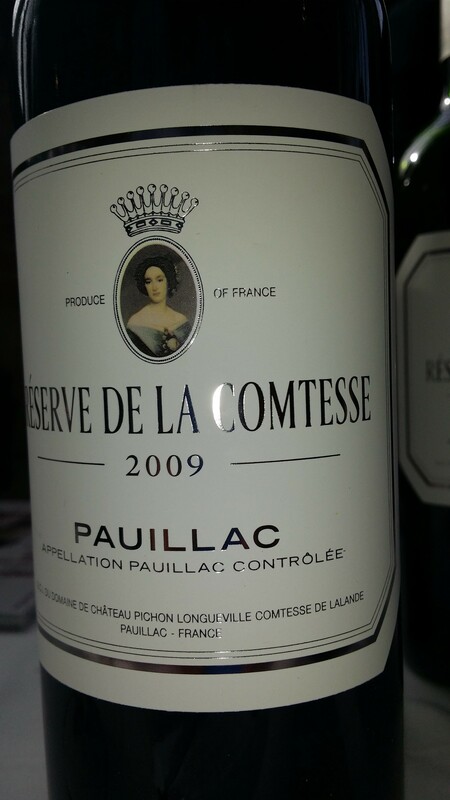 A round, friendly Pauillac that will nevertheless improve. This fifth growth was nothing short of obscure until Jacky Lorenzetti (an Italian speaker from Switzerland who made his fortune with the Foncia real estate chain) bought it and turned it around. 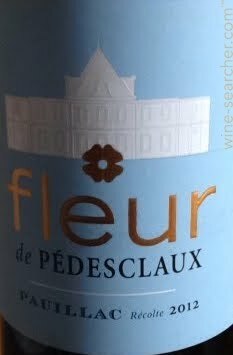 Pédesclaux is rare in that it is a Pauillac made from 100% Merlot! One expects a great deal from a “super-second” that is universally appreciated, especially in a vintage like this. I was not disappointed. N: a little simple, but reminiscent of the grand vin. Sweet with graphite overtones. T: round and sensual with lovely soft tannin. Great finish and showing very well at present (can be enjoyed as of now), but will be fine for the next 5 years. Good acidity. I am not very familiar with this 27-hectare grand cru classé. 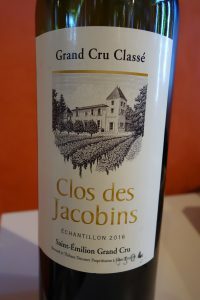 I am not alone in having some severe disappointments in the premier grand cru classé Ch. La Gaffelière. But the owners have called in consultant Stéphane Derenoncourt and things have changed for the better. Price: 19 euros – tremendous value for money. 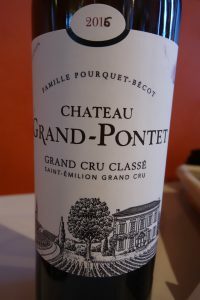 I’ve not often tasted wine from the 14-hectare grand cru classé Grand Pontet. T: round, big, and a little hot on the palate. Honest and foursquare, like a rich peasant. This 18-hectare classified growth has a strong following. 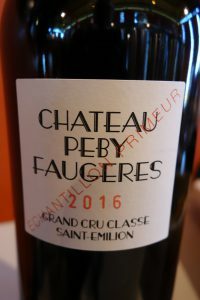 Faugères was promoted to grand cru classé status, and enjoys a good reputation, like the other Silvio Denz wines. 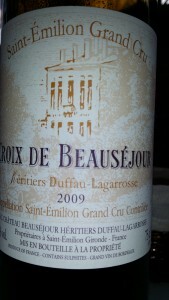 This second wine of Château Beauséjour (Duffau-Lagarosse) was a great discovery. T: nice mouthfeel. Lush and rich, but backed up by fine minerality. Classic. Very good indeed. Drink now until 2022. 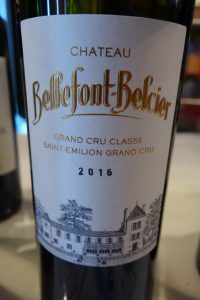 One of the newly-promoted grand crus classes, Bellefont-Belcier is 14-hectare estate recently acquired by a Chinese firm. T: overdone, intrinsic softness marked by bitterness. Another look needs to be taken at barrel ageing. 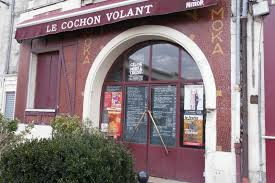 After the tasting, my friend Pierre and I had lunch at the Cochon Volant, a nearby restaurant. 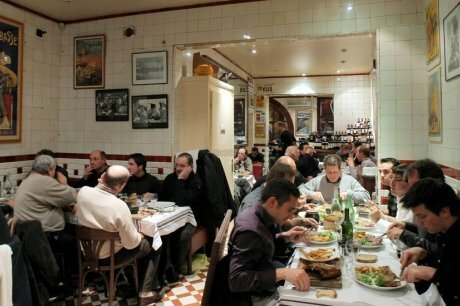 This is a wonderful, earthy place featuring the best of cusine from Southwest France. Warning: portions are enormous! We enjoyed a 2009 Ch. Moulin-à-Vent (Moulis) with lunch. 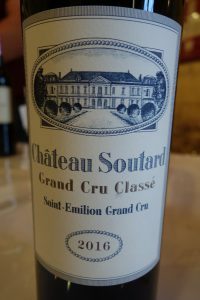 Posted in Uncategorized and tagged Bordeaux, bordeauxwine, Graves, Margaux, Pauillac, saintemilion on October 6, 2015 by AlexR.